Yechul Shin in the School of Urban and Environmental Engineering at UNIST. 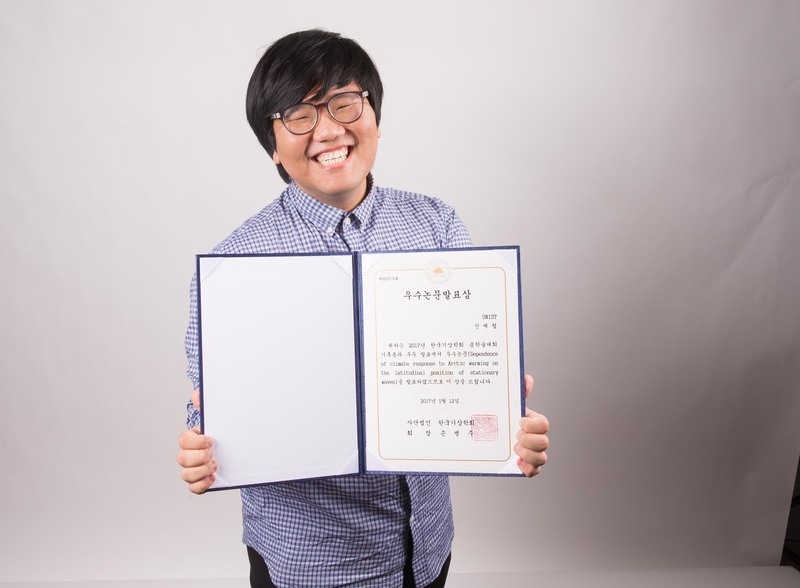 Yechul Shin of Urban and Environmental Engineering receives Best Paper Award from Korean Meteorological Society. 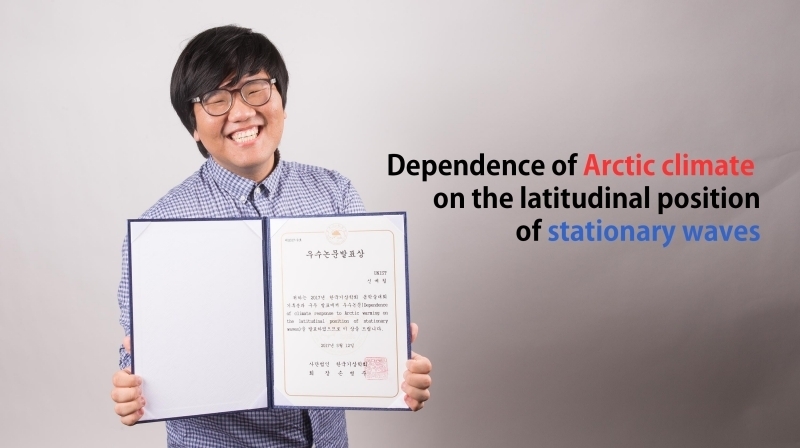 Yechul Shin, a graduate student of Urban and Environmental Engineering at UNIST, recently received the Best Paper Award from the Korean Meteorological Society (KMS). 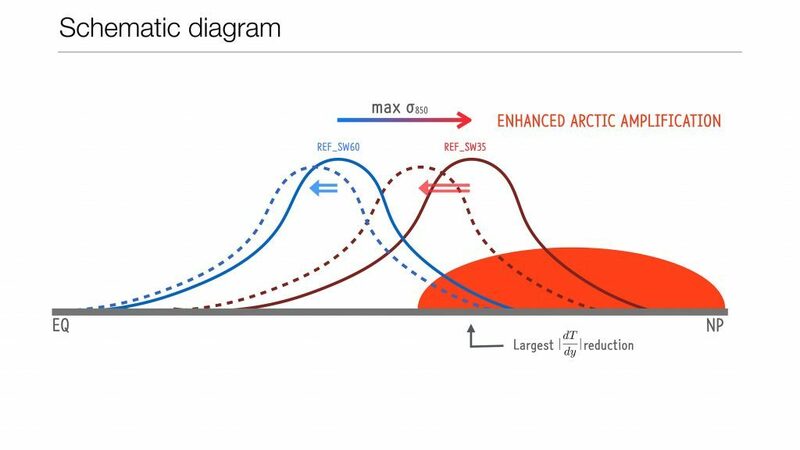 In his paper, entitled “Dependence of Climate Reponse to Arctic Warming on the Latitudinal Position of Stationary Waves”, Yechul talks about the linkage between the jet stream and the amplified Arctic warming. Planetary-scale waves formed by the Himalayas and the Rockies can shift the position of its jet stream, which can accelerate the warming in the Arctic. EQ refers to the equator and NP means the North Pole. The red and blue lines represent two experiments via computer simulation. The main topic of this paper is the amplified Arctic warming. There are several hypotheses that have been proposed to explain the cause of this warming. For instance, the loss and thinning of Arctic ice raises regional temperature, the unique climate and weather of the Arctic, and the influence of equatorial wave are some of the reasons that are thought to cause the Arctic to warm. In the study, Yechul conducted a computer simulation with the hypothesis that the amplification of the Arctic was affected by the jet stream. Arctic warming changes the temperature gradient between the South and the North over time. This causes the jet stream to move southward, thereby increasing the Arctic and creates the secondary circulation. Here, he discovered that the location of the jet stream closely related with the secondary circulation.